You'll be hard-pressed to find a better sounding or more adaptable pair of Bluetooth earphones. Let’s not beat around the bush: $400 is, for most of us, an insane amount of money to spend on a pair of Bluetooth earphones. For that price, they’d best sound significantly better than anything else you’ve ever jammed into your skull, excluding earbuds that cost $1,000 or more. Shure’s SE535 earphones meet this qualification with moxie. Yet their exceptional audio isn’t the only reason why I recommend them: Their clever modular design and Shure’s reputation for exceptional customer service also render the SE535s practically damage- and future-proof. They may cost more than some new iPads, but their winning combination of wonderful sound reproduction, repairability, and adaptability make them an outstanding investment. There may be better-sounding earphones in the SE535’s price range, but I’ve yet to find them. Shure released the 535s in 2010, and very little about them has changed since then. They now cost $50 less and you can buy them with a far wider variety of connectivity options—but that’s about it. 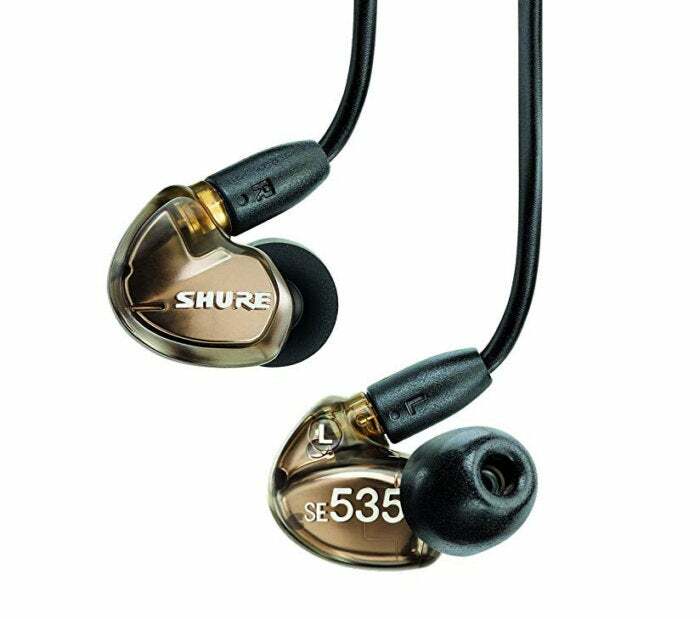 Given that a technology company’s fortunes often rise and fall based on the success of new products being pushed out at regular intervals, the fact that Shure still makes the 535s says a great deal about their quality. For this review, we’ll be talking about the SE535-V+BT1 iteration. Mine were bronze in color, although you can also get them in other colors (along with a transparent version). Testing them over the course of a week, I found they provided between six and seven hours of runtime before they need to be charged. They come with Shure’s RMCE-BT1 Bluetooth 4.1 communication cable with inline controls that work with either iOS or Android hardware, in addition to a cable you can plug into any 3.5mm port you have in your home. Why the additional cable? Because the SE535's earbuds are designed to be removable. If you want to use them with your old iPod, you can. If you want to listen to music streamed to your iPad via Bluetooth, you can do that, too. Just pop the earbuds off their cable and attach them to a different one. 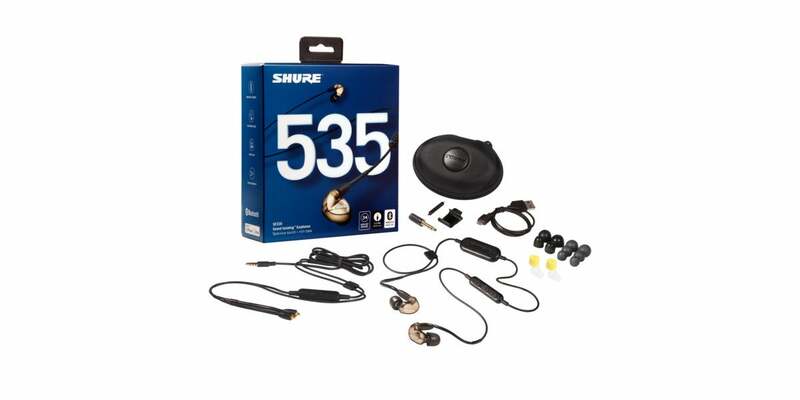 Shure's SE535+BT1 kit comes with everything you need for a great listening experience. That means Lightning and USB-C connectivity is covered as well, and if Bluetooth 4.1 isn’t enough for you, you can pick up Shure’s RMCE-BT2 High-Resolution Bluetooth 5.0 Communication Cable for $149. With the RMCE-BT2, you’ll get about 10 hours of music transmitted via Bluetooth 5.0, a 30-foot transmission range, and support for multiple codecs including Qualcomm aptX HD audio, aptX HD, aptX Low Latency, AAC, and SBC-enabled superior digital audio. The cables themselves are thick and lined with Kevlar for durability, and (in my experience) resistant to tangling. The ability to remove these earbuds from their wires also means it's easy to make repairs. The most common point of failure for any headphones is their cables. They wear out, they get caught slammed in doors, or they get pulled away from the earbuds themselves. With the SE535s, you can inexpensively fix any of these problems by investing in a new cable. Since you can upgrade them with improved wireless hardware like the RMCE-BT2, you can expect a longer support cycle than you’d get with many other sets of earbuds and the advantage of embracing new connective technology without having to replace your earbuds entirely. I won’t say these are the best-sounding earphones out there, as sound is a very personal experience. But I will say they sound very, very good. One of the problems I typically associate with earphones is that they don’t pack the same impactful bass you find in over-the-ear or on-ear headphones. This isn’t an issue with the SE535s. The bass isn’t overwhelming, but neither is it reed-thin. It is rich, robust, and occasionally it rattles your eardrums. We can thank the foam tips that conform to the shape of your ears for much of this. They provide an excellent seal that blocks out almost as much noise as a pair of ANC headphones, and they allow low-frequency sound to rattle around in your skull. Unfortunately, the foam tips do make the earphones more of a pain to insert into your ears. I also didn't like the way the cables loop over the back of my ears instead of hanging down like most other earbuds, but these are minor inconveniences for the sake of superior sound. While we’re on the topic of cables, I wasn’t able to detect any microphonics while listening at volumes 50 percent and higher: The only time you’ll hear rustling from these things is if it’s on the track your audio source is playing. The SE535 earbuds can be detatched from their cables to be repaired or upgraded. While testing the SE535 with in their Bluetooth 4.1 configuration, I found the audio feels well-balanced with a wide soundstage that lets every element of your music shine (so long as you're listening to a high-quality recording). The warm, booming bass line and Nathaniel Rateliff’s vocals in "Shoe Boot" were well separated from the music the horn players in Rateliff’s band were making. While listening to our test playlist and almost everything else over the course of a week, I throughly enjoyed the well-separated, punchy audio the SE535s delivered. The only time that these earphones failed to shine was when I listened to low-quality files or standard-definition streaming content. Podcasts and music discovered on SoundCloud or steamed via YouTube sounded rather awful when played through the SE535s—full of artifacts and background hiss. But this has more to do with the quality of the audio source than the quality of the earphones. Shure’s SE535V+BT1 earbuds may be prohibitively expensive, but their rich sound, repairability, and ability to be modified to meet your individual needs place them among the finest earphones we’ve had the opportunity to use. 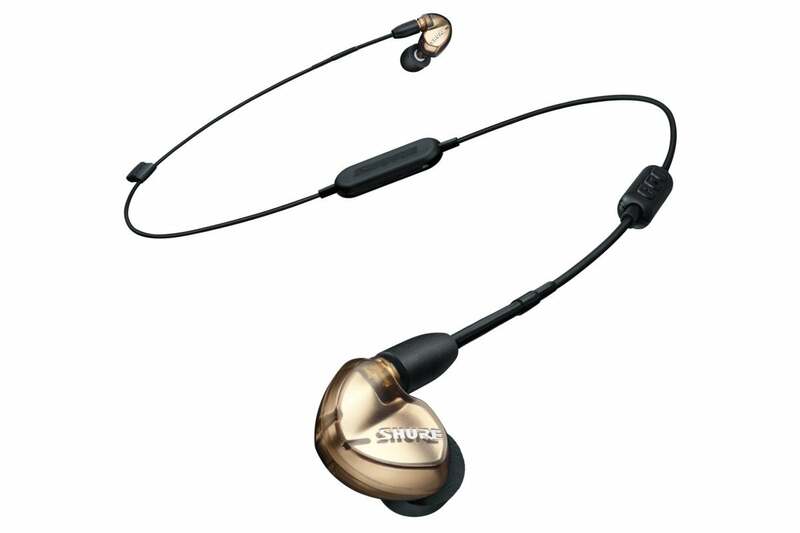 This story, "Shure SE535-V+BT1 Bluetooth earphones review" was originally published by Macworld.